Attack Squadron 42 (VA-42) was a United States Navy attack squadron based at Naval Air Station Oceana, Virginia. The squadron was established as Fighter Squadron 42 (VF-42) on 1 September 1950, redesignated as VA-42 on 1 November 1953 and disestablished on 30 September 1994. 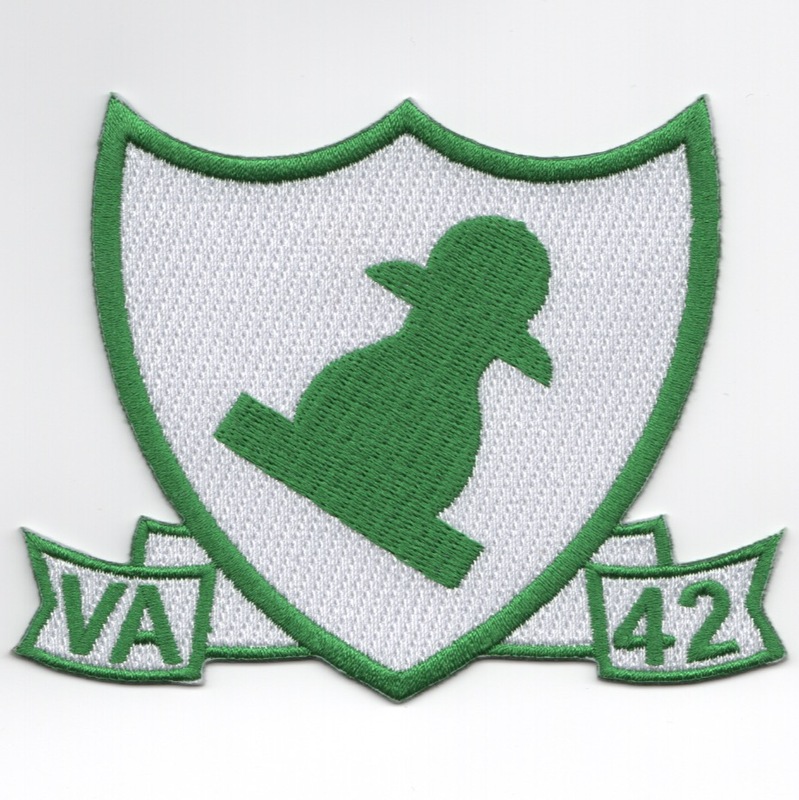 The insignia for VA-42, the "Green Pawn", was originally approved by the Chief of Naval Operations (CNO) for Bombing and Fighting Squadron 75 (VBF-75) on 28 October 1946. When VBF-75 was redesignated Fighting Squadron 4B (VF-4B) on November 15, 1946, the insignia was carried over for use by VF-4B. On 1 September 1948 VF-4B was redesignated Fighting Squadron 42 (VF-42). This s quadron continued to use the Green Pawn insignia until it was disestablished on 8 June 1950. When a new Fighting Squadron 42 (VF-42) was established on 1 September 1950 they adopted the Green Pawn insignia that had been used by the former VF-42. In 1953 the insignia was carried over to VA-42 following its redesignation from VF-42. The Green Pawn insignia is a simple, uncluttered and highly recognizable design. The symbol of the pawn was chosen because it has the most potential power of any piece on the chess board. The pawn is canted at a 45 degree angle inside a shield design. It is also said that the aircrews said they were called the Green Pawns for two reasons: i t was the Fleet Replacement Squadron (responsible for training new aircrew and aircraft maintainers; thereby, they were green, or new); and their squadron was a pawn which could be pushed around by the fleet and the senior commands. Colours are as follows: green pawn; background of the shield is white outlined in green; and the scroll is white outlined in green with green lettering. This patch does not have velcro. Homepage | Order VA-42 Patches!